I will be joining Jeffery Beam, Brian Sturm and others, for the 20th anniversary of Winter Stories. 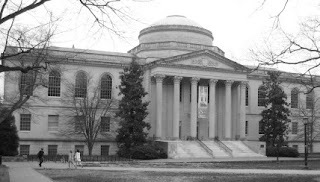 The program will take place on December 6th, 5:30 pm, in the majestic Louis Round Wilson Library on the campus of the University of North Carolina at Chapel Hill (pictured below). I'll be sharing one story with Jeffery and also telling my version of the Native American legend, "Raven Brings Light". I was fortunate to have been part of winter stories for a few years, over a decade ago, when living in Durham. It will be a real joy to return for this milestone celebration. If you live in the Triangle area, I invite you to join us!